The Defense Acquisition Program Administration (DAPA) will upgrade transparency in buying military equipment through a blockchain-based platform. From bidding till buying, all information will be available online. The agency will accept all applications through the platform. It said it would switch to the paperless application. The agency has been a target of investigations for repeated corruptions involving the procurement of military products. 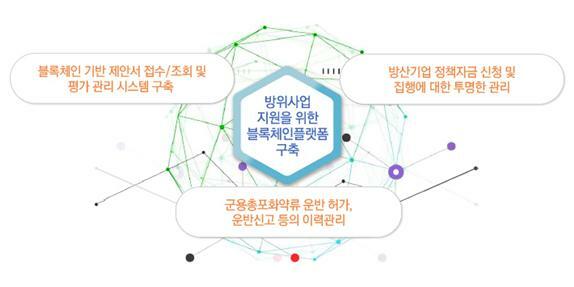 Thus it hoped that the blockchain platform would upgrade transparency in bidding and public confidence in the administration.